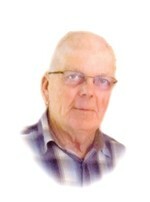 LeRoy Francis Vanden Hoek, 75, of Corsica, SD went to be with the Lord on Thursday, November 1, 2018 at his home. Funeral Services are 10:30 A.M. Monday, November 5, 2018 at Harrison Community Church (South) in Harrison, SD. A Committal Service will follow at Harrison Cemetery. Visitation will be held at the Church one hour prior to services on Monday. LeRoy Francis Vanden Hoek was born on May 13, 1943 in Douglas County, SD to Tony and Harena (Vander Ley) Vanden Hoek. He attended Corsica Christian Grade School and Dakota Christian High School. He was a member of Harrison Community Church, living and farming in the Corsica area all his life. He enjoyed doing things on the farm and the things of God’s creation. On June 21, 1974 he was united in marriage to Mary Kalkwarf in Parkersburg, IA. They were blessed with a chosen son, Ryan. Grateful for having shared in LeRoy’s life: his wife of over 44 years, Mary Vanden Hoek of Corsica, SD; their son, Ryan Vanden Hoek; four brothers: Kenneth (Margie) Vanden Hoek of Corsica, SD, Roger (Linda) Vanden Hoek of Hull, IA, Calvin (Lois) Vanden Hoek of Everson, WA and Daniel Vanden Hoek of Corsica, SD; a sister, Lillian (Jay) Meyering of Holland, MI; two brothers-in-law: Curt Kalkwarf and Craig (Melody) Kalkwarf both of Parkersburg, IA; along with many nieces, nephews and friends. LeRoy was preceded in death by his parents, Tony and Harena Vanden Hoek; and parents-in-law, Harold and Dorothy Kalkwarf.